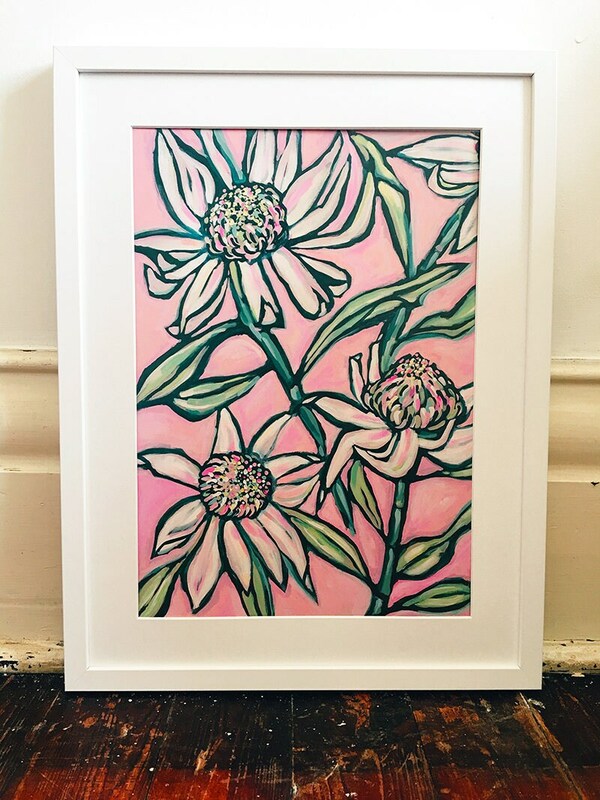 Paula Mills Art, in collaboration with YourFramer™ is now offering customised frames on all of our art prints! 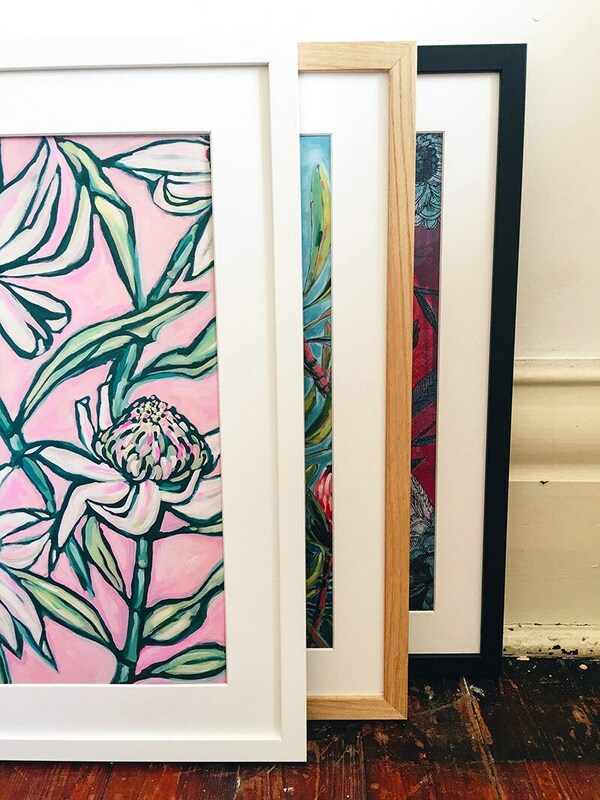 Once you have chosen your art print and added it to your cart, simply add framing in the size you need and in the colour of your choice. We offer black, white and oak frames. Please see photos and choose from the pull down menu. 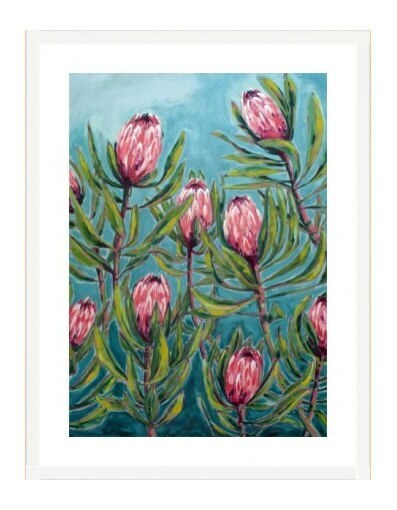 Your print will be framed with a 50mm white mount (also known as a matt) and shipped to your delivery address. Freight charges are $19.50 Australia wide per order, and a flat rate of $62.50 (AUD) to the United States. 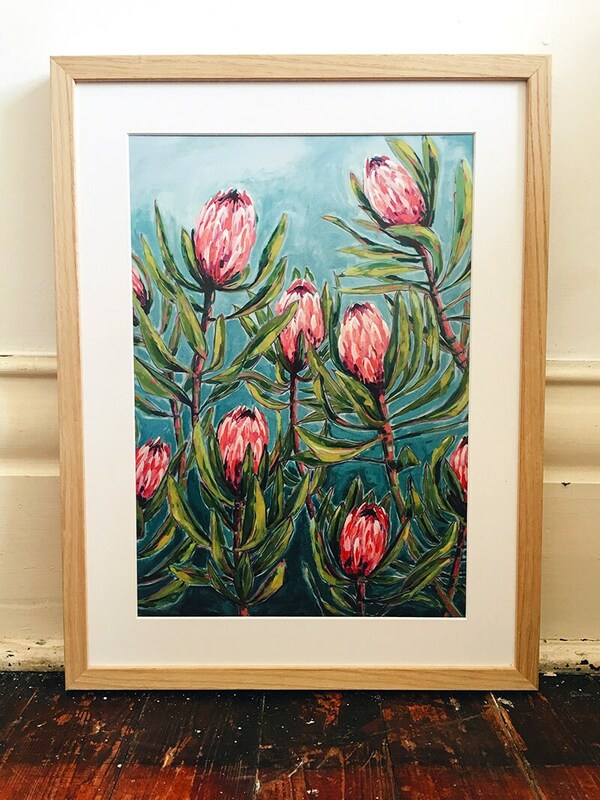 PLEASE NOTE: For orders within Australia, due to frames and prints being made to order, there will be a TWO WEEK turnaround time on framed prints. 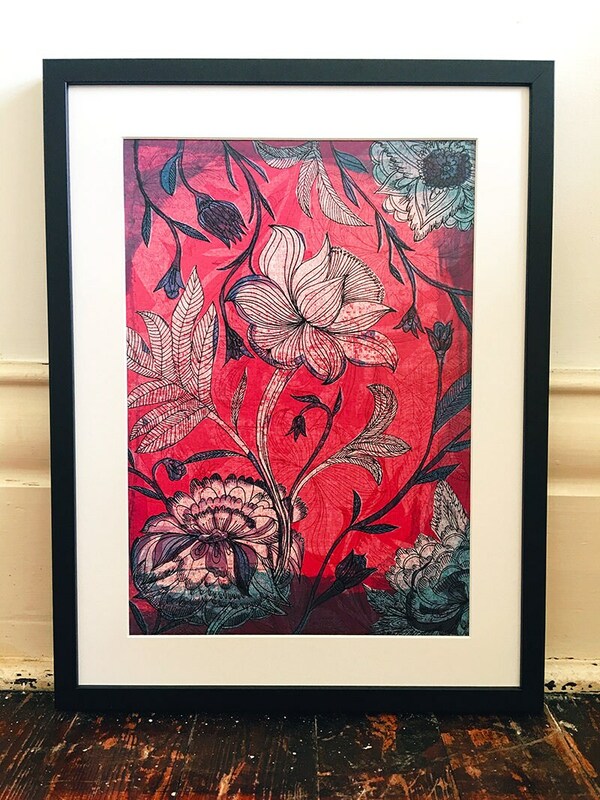 PLEASE NOTE: For orders to the United States there will be a THREE WEEK turnaround time for framed prints. "Our custom made frames are fully assembled using the standard v-nail method of joining. All frames are made to the highest professional standard. All our larger frames have glued joints as well as being professionally v-nailed. 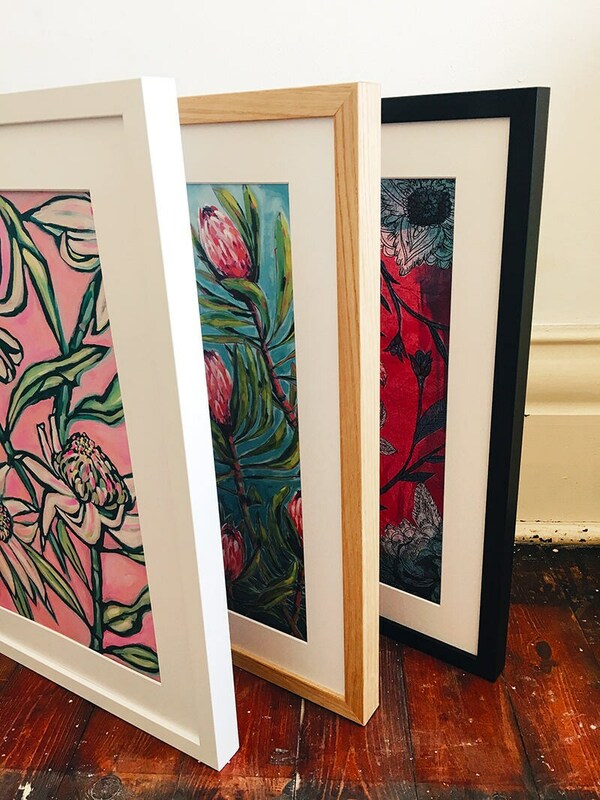 The YourFramer™ picture framing workshop only uses mouldings from the finest Australian and worldwide suppliers. Our mouldings range from traditional to natural, blacks and silvers. The choice of timber for our frames is Obeche, which is a sustainable rainforest timber. This timber produces frames which are stable and free of twists and bends. 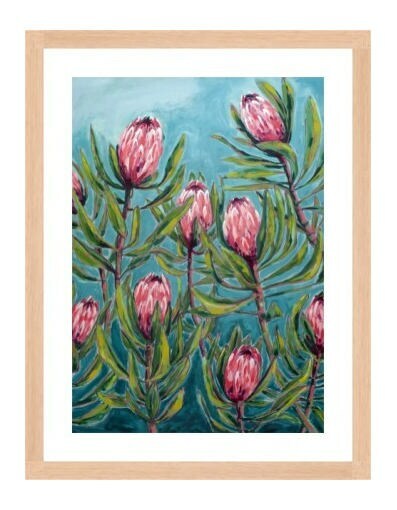 The YourFramer™ range of mountboard supplied online is a high quality, acid-free board with a clean white core. The white core maintains its whiteness for many years. YourFramer does not use glass as it cannot be freighted, we use acrylic instead. 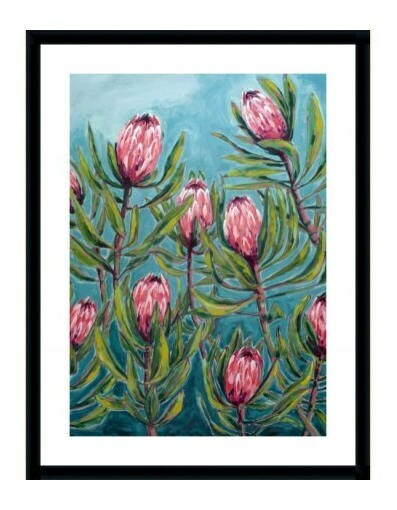 The acrylic YourFramer uses are very clear and distortion free, and as good as glass!